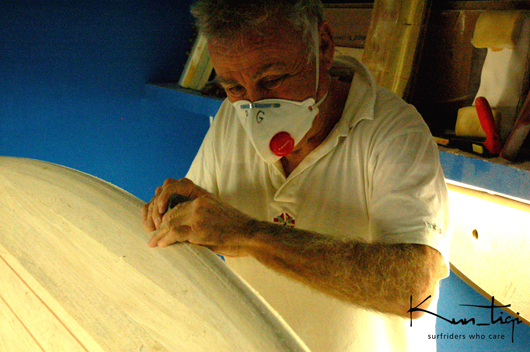 Kun_tiqi is looking for experienced workers for surfboard repair and glassing. Kun_tiqi & Phil Grace´s Big Wave Gun Cooperation. Australia´s legendary shaper Phil Grace teams up with Kun_tiqi to build a unique Big Wave Gun for our teamrider Nagai Puntiverio. Find the whole article and fotos on our Google+ or Facebook page. This year we are again at ISPO in Munich. Together with other Eco Worriors we are at the 7Sky and Greenroom Voice! Come along and gather with eco and social responsable people! You can see our Surfboards now at the new “Green Room Project” Surf shop in Kiel/ Germany. You can find also our organic fair traded surf wear there. We will be present at the Passion Sports Convention in Bremen/ Germany. It takes place Saturday and Sunday 10 and 11 of March 2012. We hope to meet you there ! On the 9th of May, the yearly Surf & Skatefestival will start again in Hamburg. There you can watch the newest surf movies, visit exhibitions, join surf contests, workshops and – of course – some great parties! Kun_tiqi will be there as well: You’ll find us on Saturday and Sunday at the tradeshow in the Goldbekhaus. For further details check out the official program! Just got featured by Sustinendi at their Sustinendi Showcase at TOTO’s concept store during the Clerkenwell Design Week in the heart of London’s design district! Food, materials, energy, industry, people, spaces, communities – Sustinendi celebrates solutions, which are highly energy efficient, use renewable resources and are well designed, spirational and sustainable. Kun_tiqi attends this years Glissexpo at the exhibition area at the beach “Les Bourdaines” in Seignosse. We have lots of test boards with us and pray for good swell !